has been proving very popular at shows. As a result there is just 1 place left on the debut March course. The other two chairs are still being developed and I hope to finalise them soon. The new double bow features below, mainly as a surface for milk painting – I am currently working on what I hope will be the final version! There is quite an Australian theme this time. 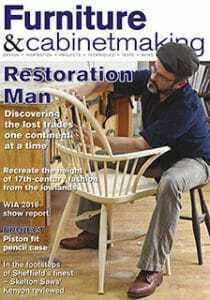 Glen Rundell, a professional Chairmaker from Melbourne, visited in the autumn to learn about English Windsors and the resulting article in Furniture & Cabinet Making is below. Phil Spencer built the Wheelback Double-bow Windsor from my plans (https://thewindsorworkshop.co.uk/wheelback-double-bow/ ) and has also written an excellent article about his experiences. With a rather significant birthday approaching this year and continuing the Aussie theme, my wife and I are planning to visit Australia in (our) summer. 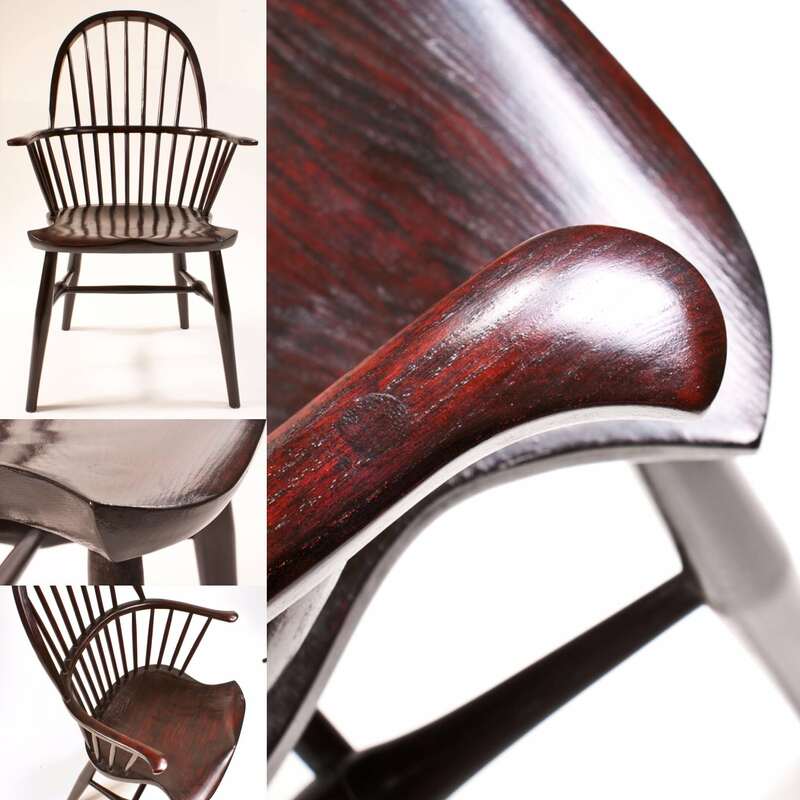 We hope to meet lots of chair makers in and around Melbourne and Canberra, some of whom I have already met and others that I have got to know on Instagram. Expect further ‘news from Down Under’ later in the year! Finally, former students continue to be busy making great chairs and I include a few for you to see at the end. 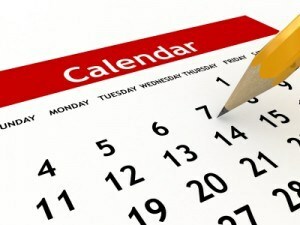 I have updated the course programme on my website through to the end of the year. You can also download the current course brochure here. Demand for the sack back seems to be dropping so I’ll be offering that less frequently, which is a shame because it’s one of my favourite chairs. However, it will give the space to offer some new options in due course. 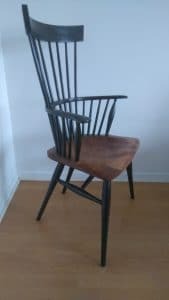 I thought you might be interested to see a chair developing. The article after this explains how I have achieved the black over red milk paint finish, while below I lay out the changes that I plan for the final version. 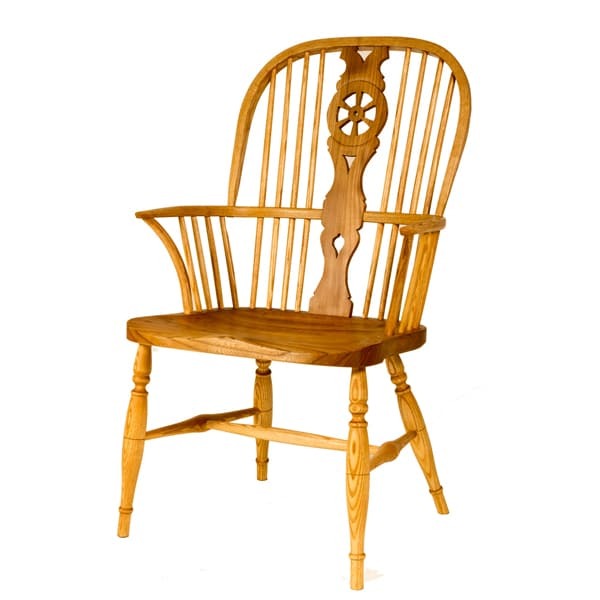 This small double bow chair is largely English in design. The seat is the main feature and I am developing a new shape. This version is a little too extreme at the front corners, but I am hopeful that the next one will be just fine. 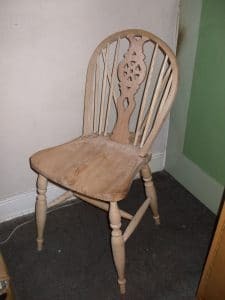 I love the front corners of old English chairs and I’m trying to emphasise this by making a clear transition between the side and front edges. There are deliberately no arm posts and the arm is supported entirely by short spindles. Finally the top bow will be changed slightly in the final version. The ends are currently parallel where they enter the arm and the next ones will be pointing in slightly to the centre of the chair. It’s a really comfortable chair, thanks in good part to the seat, and I am already turning my mind to a side chair version! You may already know that I am always keen to paint chairs, even though it is not hugely popular in this country! You can buy the paints direct from the US from www.milkpaint.com or, make your own – far more fun! 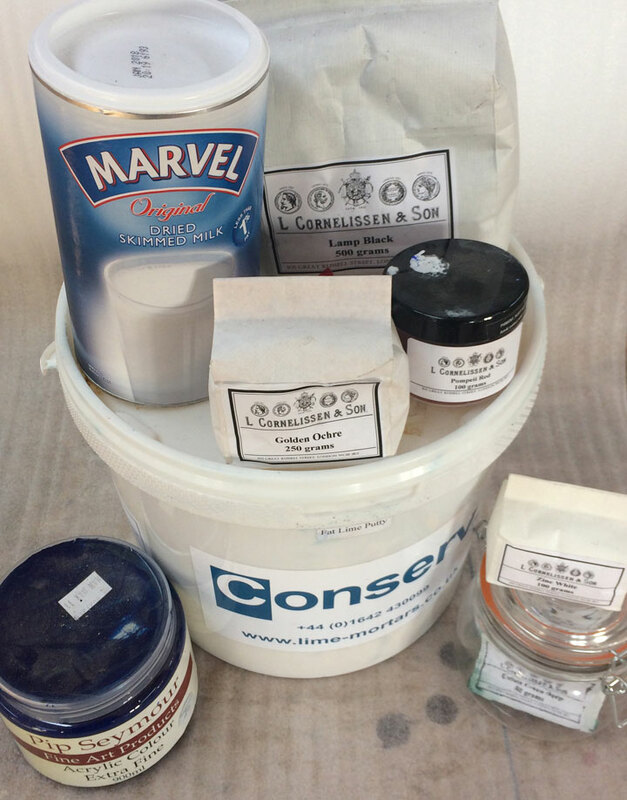 The ingredients are very simple: lime putty, pigment and dried milk powder (e.g. Marvel). I get lime putty from Conserv at: www.lime-mortars.co.uk/lime Pigments of many kinds are available from Cornelisson at: www.cornelissen.com Dried milk powder from your local supermarket. I will describe the full process to achieve the black on red finish seen in the chair above. Mix say a table spoon of putty with water and stir to give a single cream consistency. Add roughly the same volume of milk powder. You may need to add a little more water. Then add your pigment and stir for a couple of minutes. If the pigment does not wet well then I found that a little Fairy Liquid (or equivalent) helps. Leave the mixture overnight. I used cadmium deep red for the base and lamp black for the top coat. Apply a thick coat all over. Allow to fully dry and rub down thoroughly with used 240 grit paper. This coat seals the wood and gives a good surface on which to build the paint finish. 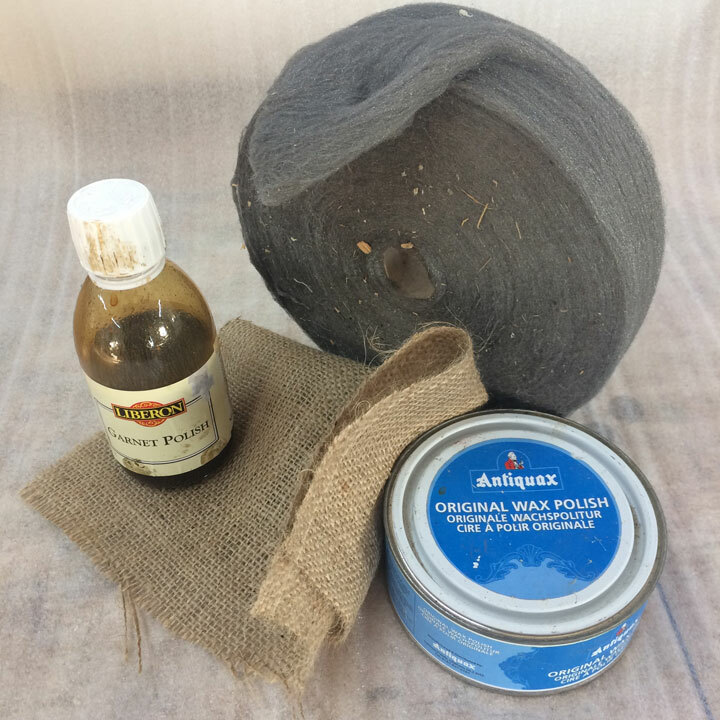 Apply a second thinner coat and when dry, rub down with 0000 wire wool and burnish with rags or burlap/hessian. Repeat the second coat and rubbing/burnishing. This should give you a good consistent red colour. I then applied two thinnish coats of black on top of the red. These were then burnished with burlap/hessian after very gentle rubbing through with 0000 wire wool, if necessary. It’s easy to rub through too much! The paint now needs to be sealed. I prefer to use French polish, but many people swear by hard wax oils. Apply a coat of Garnet polish (to add warmth to the finish) with a brush and allow to fully dry. Rub down with 0000 wire wool to make smooth. Apply a final, quite thick, coat of Garnet polish. When the polish is fully hard (leave overnight in warm place), load up 0000 wire wool with a generous amount of your chosen furniture polish and rub down the whole chair. This process will remove the brightness of the French polish. Leave for at least 20 minutes and then buff up to a glorious sheen! finishes can be achieved with much less effort, particularly if you are prepared for the paint to be burnished over time by your bottom! Have a go. It’s pure bucket chemistry and you will probably end up with your own secret recipe that you like best. Glen Rundell, lives just outside Melbourne and runs Rundell and Rundell with his wife: www.rundellandrundell.com.au He came on a course in the autumn to learn about English Windsor chairs and also spent time at West Dean to pick their brains about running a multi-disciplinary craft organisation. Phil Spencer bought plans for the Wheelback double-bow Windsor armchair from my website last year and although he had never made a Windsor before worked his way through to an excellent conclusion. Phil has written a comprehensive article about the process, with the express purpose of encouraging others to enter the ‘Windsor world’ – a sentiment that I wholeheartedly support! Michael came on the rocking chair course last February and made a great chair. Visiting him shortly before Christmas he proudly showed off his now painted (distressed white) chair in his new extension. 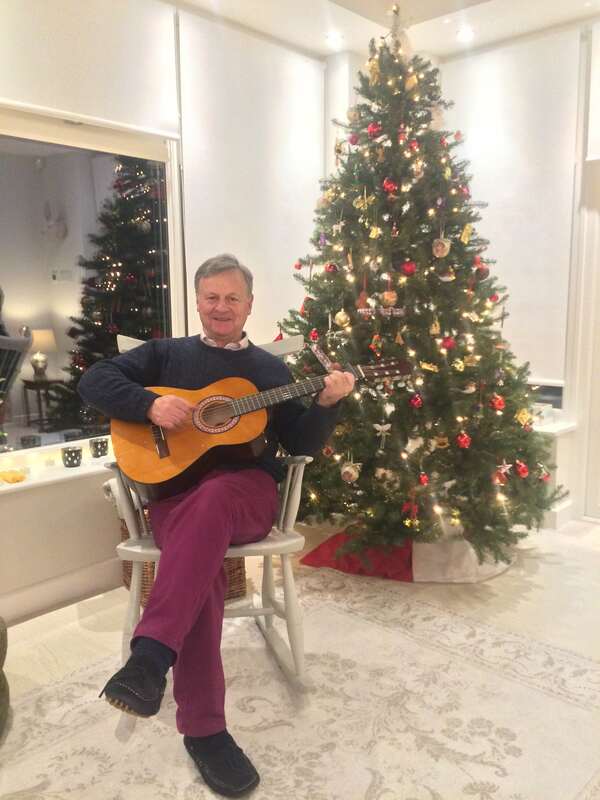 Previously he had often fantasised of playing his guitar while rocking on a veranda – I think he’s living the dream! Stephen bought the plans for the wheelback side chair earlier this year and he completed it shortly before Christmas. Great job Stephen! Roger has been on several courses in the last 18 months and seems to have the chair making bug pretty badly. Here is his latest chair, made at home. 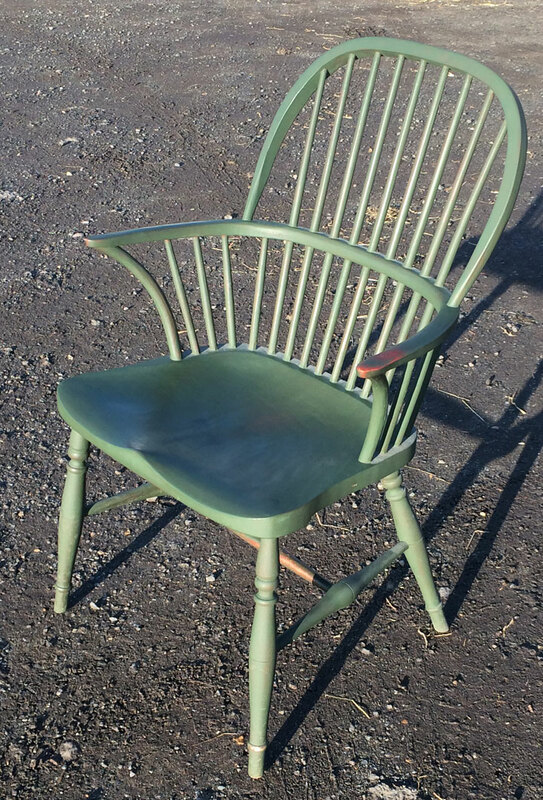 It’s my minimalist comb armchair https://thewindsorworkshop.co.uk/minimalist-comb-armchair/ and he has painted everything except for the elm seat in black over mustard milk paints. I think it looks fabulously dramatic!